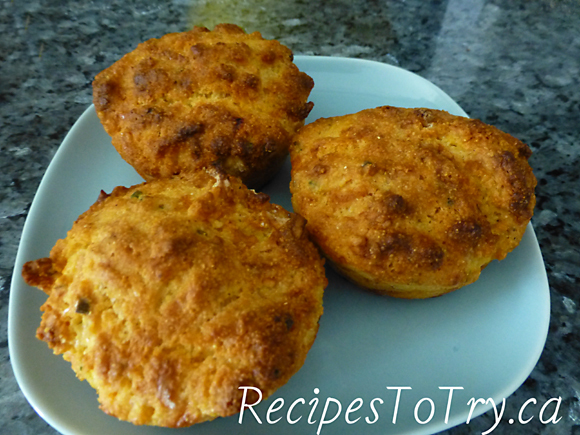 In bowl, whisk together flour, cornmeal, cheese, green onions, sugar and baking powder. Bake in 375ºF (190ºC) oven until golden and toothpick comes out clean. , 35 to 40 minutes. You can substitute 2 tsp. Of dried chives instead of the green onions. To save some calories use skim milk, splendra for the sugar and light cheese.